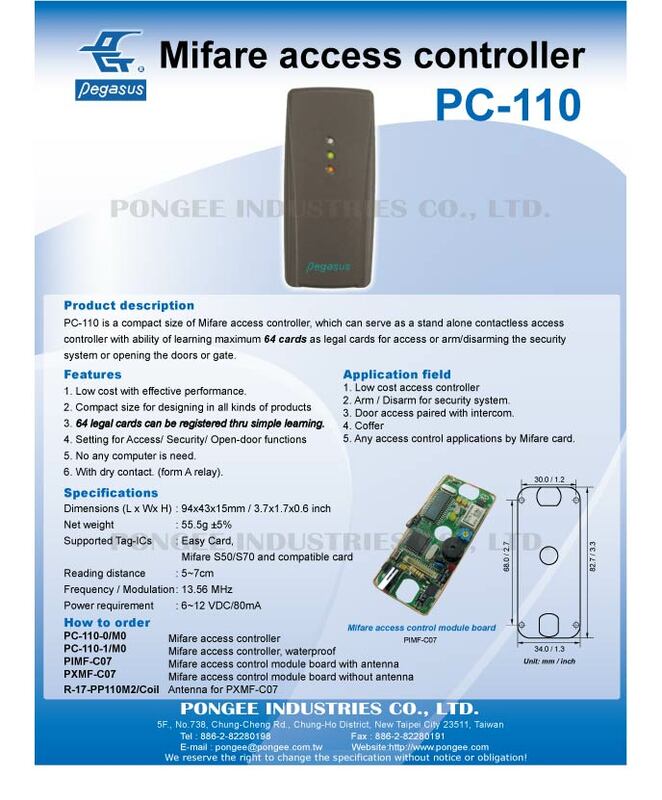 * PC-110 is a compact size of Mifare access controller, which can serve as a stand alone contactless access controller with ability of learning maximum 64 cards as legal cards for access or arm/disarming the security system or opening the doors or gate. 2. Arm / Disarm for security system. 3. Door access paired with intercom. 5. 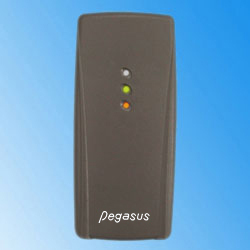 Any access control applications by Mifare card. 1. Low cost with effective performance. 3. 64 legal cards can be registered thru simple learning. 5. No any computer is need. 6. With dry contact. (form A relay).